Liner Accelerators (LINACS):Linear accelerators are the machines that deliver the radiation. These powerful radiation machines are checked each day and must pass quality assurance guidelines before patients are treated. 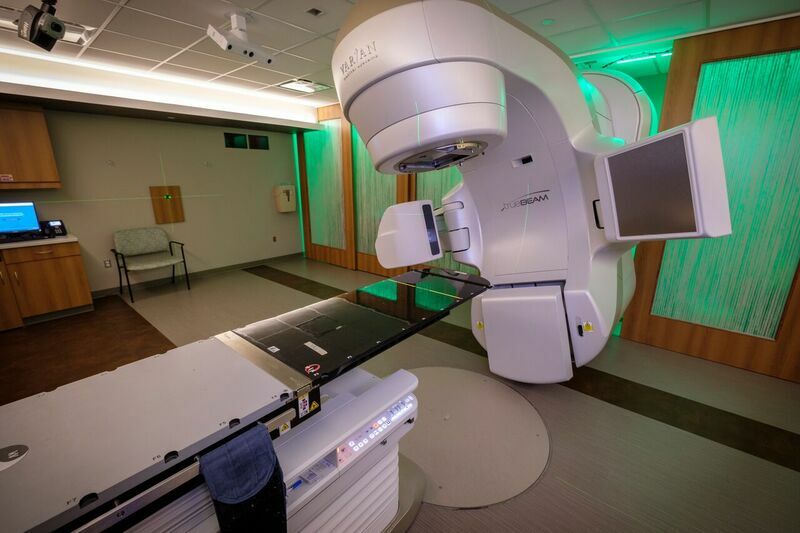 The main campus department has three general purpose linacs and one specialty linac for stereotactic procedures. Stereotactic Radiosurgery (SRS/SBRT): Image Guided Radiation Therapy (IGRT) - is the process that utilizes frequent or dynamic imaging of the patient and treatment area to more precisely direct radiation therapy. The use of various imaging devices allows coordination of the actual radiation treatment plan with the patient's actual position. Demonstration of a lung treatment using IGRT. Brachytherapy: General Brachytherapy involves the delivery of internal radiation therapy by placing radioactive sources inside or adjacent to the tumor. There are both Low Dose Rate Brachytherapy (LDR) and High Dose Rate Brachytherapy (HDR) applications. 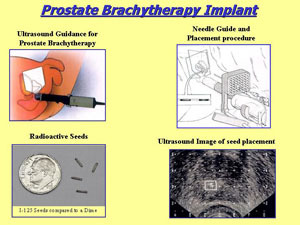 Prostate Seed Implants are an example of Low Dose Rate Brachytherapy are treated. The main campus department has three general purpose linacs and one specialty linac for stereotactic procedures. Radiation Simulation Units: The simulation units are used to obtain patient and organ landmarks to use in the creation of a treatment plan by the radiation oncologists. 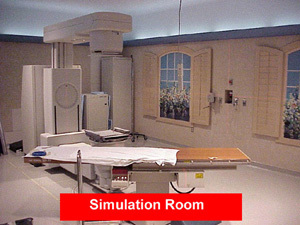 Simulation rooms contain X-ray machines that look similar to a linear accelerator or they can be CT scanners that allow slice information to be used for contouring the area of interest. The simulation units are used to obtain patient and organ landmarks to use in the creation of a treatment plan by the radiation oncologists.